This delightful series offers a light-hearted approach to the concerns of our modern times. Each cleverly designed pack contains a book and three bottles of oils -- two essential oils chosen specifically for each kit and a bottle of almond oil to blend them. Each book includes cures, quotes, recipes, meditations, relaxation techniques, humorous sayings, quirky tips -- and good, practical advice for what ails you. 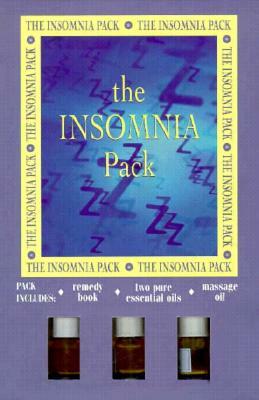 Whether you wish to be cured or entertained, these wonderful packs are a must for your nightstand. Description: This is the BOOK ONLY, no essential oils. By: Pollack, Rachel. McKean, Dave.